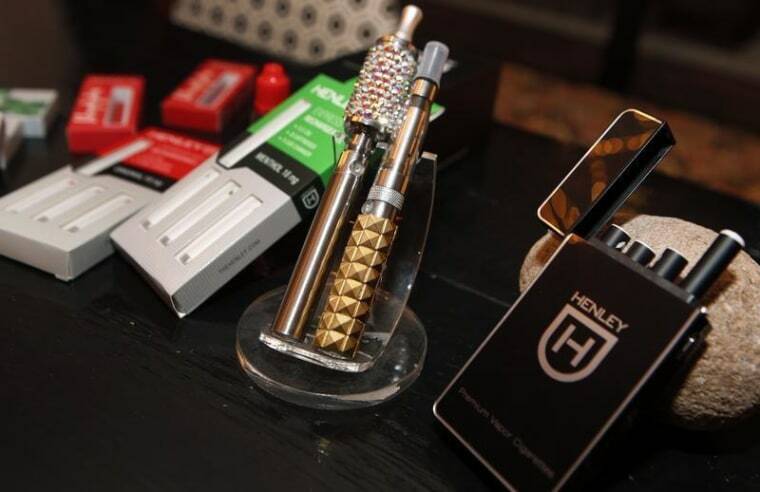 New research shows candy-flavored e-cigarettes and cigars taste a whole lot like real candy. Candy-flavored cigars, snuff and e-cigarettes really do taste like candy, and they seem to be flavored with the same ingredients used in Kool-Aid, Jolly Ranchers and other kid-oriented treats, researchers reported on Wednesday. The Food and Drug Administration has outlawed the use of candy and other flavorings, except menthol, in cigarettes, but hasn’t extended this ban to other tobacco products, not even in its decision last month to regulate cigars, hookah tobacco and e-cigarettes. This outraged anti-tobacco campaigners, who accuse makers of these products of trying to hook teenagers on nicotine. But makers of e-cigarettes said even flavors such as bubble gum are aimed at adults, not kids. James Pankow of Portland State University and colleagues decided to test whether the flavors were even close to products legally aimed at kids, such as Zotz candy. They found many of the same chemical combinations in candy products and in the tobacco products, including benzaldehyde and benzyl alcohol. This means the FDA needs to regulate these flavorings in cigars and e-cigarettes, said the American Cancer Society’s Cancer Action Network. “Candy flavorings are currently banned in cigarettes, but that ban does not extend to cigarillos, large cigars, roll-your-own tobacco, hookah tobacco and e-cigarettes, all of which are growing in popularity among youth,” said Chris Hansen, president of lobbying arm of the American Cancer Society. “In fact, a recent study by the Centers for Disease Control and Prevention found that more than 40 percent of current middle and high school students who smoke use flavored smoking products such as small cigars or menthol flavored cigarettes," Hansen added. "There is growing concern that flavorings such as grape and cherry, and others with appealing names including ‘brownie’ and ‘gummy bear’, now found in many small cigars, hookah tobacco and e-cigarettes, can entice youth to try these products and potentially lead to a life-long, deadly addiction."